How to add many personalized sizes in Photoshop? I would like to add many personalized sizes in Photoshop CC. Someone knows where I can find the file with the personalized sizes created by user? Below the screen "New Document" with the personalized sizes created by user. Enter the size, resolution, color mode, etc. 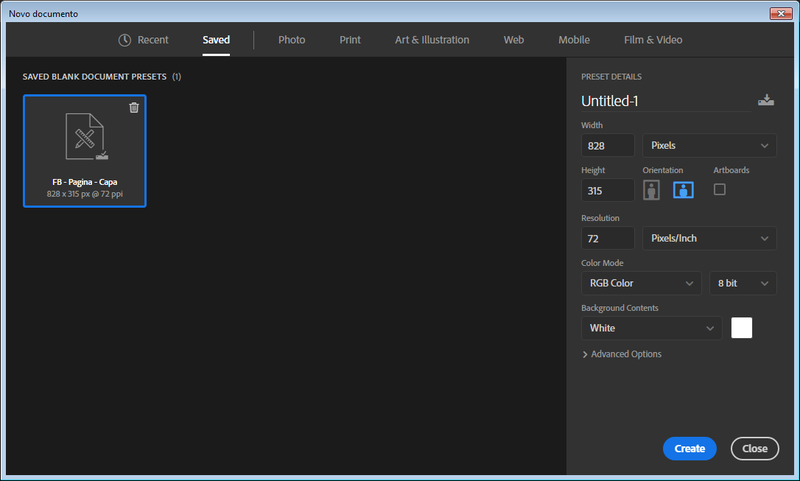 for a new document and then click the Save Preset button in the "New" dialog Window. You can do this repeatedly for different configurations without ever having to leave the "new" dialog. How can I add notes to a photoshop document?